The kiddie tax is a set of laws designed to stop parents from moving assets to their children to avoid paying taxes. It applies to unearned income — that is, income that doesn’t come from working and being employed. For example, your child may be the recipient of income from investments — dividends, interest and capital gains. Even rental property income can count as unearned if it is not operated as a full-time business. If that unearned income exceeds a certain minimal amount, it’s taxed at the parent’s tax rate instead of the child’s tax rate, which would probably be much lower. Currently under the kiddie tax rules (which have changed for 2018 and beyond), children pay tax at their own income tax rate on unearned income they receive, up to a threshold amount ($2,100 in 2017). Once the unearned income rises above that amount, it’s taxed at the parent’s highest income tax rate. It doesn’t take much to trigger the kiddie tax. For example, a $50,000 investment generating 5 percent a year leads to an income of $2,500 — above the current threshold. If the child actually earns money — anything from a paper route to starring in a Disney movie — it is not subject to the kiddie tax rules. That earned amount is subject to the child’s rate. Children under 19 years of age. Can You Get Around the Kiddie Tax? The whole point of the kiddie tax is to prevent well-heeled parents from simply dumping highly taxed investment income into a child’s account. But if you have a genuine interest in giving your children investment income, there are ways to benefit the children without hitting the limit. Municipal bonds. These are exempt from federal income tax. 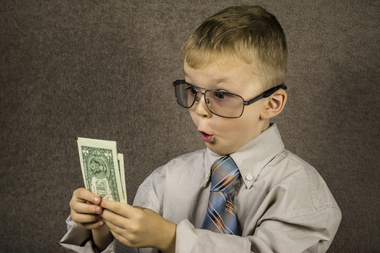 If your child later sells the muni bond at a profit, it would be taxed as a capital gain at the child’s capital gains tax rate, provided the child was no longer subject to the kiddie tax. Growth stocks or growth mutual funds. These companies generally reinvest their profits for future growth rather than pay them to shareholders as taxable dividends. Once the child ages out of the kiddie tax, these can be sold, and the profit will be taxed at the child’s capital gains rate. Index funds or tax-managed mutual funds. Stocks in these classifications generate little taxable income but can increase nicely over the years, giving the child a nest egg without triggering the kiddie tax during the relevant years. Treasury bills. If your child is almost at the age when he or she will not be subject to the kiddie tax, buy a Treasury bill that won’t mature until the child has aged out. Of course, there are a lot of angles to investments, so consult an investment professional before making investment decisions for yourself or your children. Finally, there’s the issue of how to file taxes for children with substantial unearned income. In many circumstances, the parents have a choice between adding the income to their returns or having the child file separately. There are advantages and disadvantages either way, and parents should consider the options carefully. If your children have unearned income, give us a call and we can help you file and strategize for the future.